I love shopping! Who doesn’t? Going around the mall searching for a gift, a gadget or personal stuff gives the shopper some kind of high! Even men love shopping. They like to shop for gadgets, clothes, appliances and office supplies. But nowadays, due to the inconvenience brought by heavy traffic (especially in Metro Manila), work schedule and yes…a tight budget, shopping is no longer a priority for others especially if it isn’t SALE season. Good thing that at this day and age online shopping makes it easy for shoppers to enjoy shopping to their hearts’ content without stepping out of the house or of their comfort zones. And this is where Lazada comes in- shopping made easier especially when you are short on both time and money. LazadaPh is a one stop online shop where you can find the things you need—appliances, gadgets, fashion, makeup, groceries and a lot more items at affordable prices. There are others though who are quite apprehensive about online shopping because of the requirement to pay through credit card. Worry not because at Lazada you are given the option to pay through credit card or through cash on delivery. Recently, Lazada’s Affiliate Marketing team had been going around on a roadshow tapping some of the Philippines’ key cities namely Manila, Davao, Cebu, Iloilo and last October 29, here in Bacolod. This is to share the good news that they will be kicking off their Online Revolution Sale on November 11. 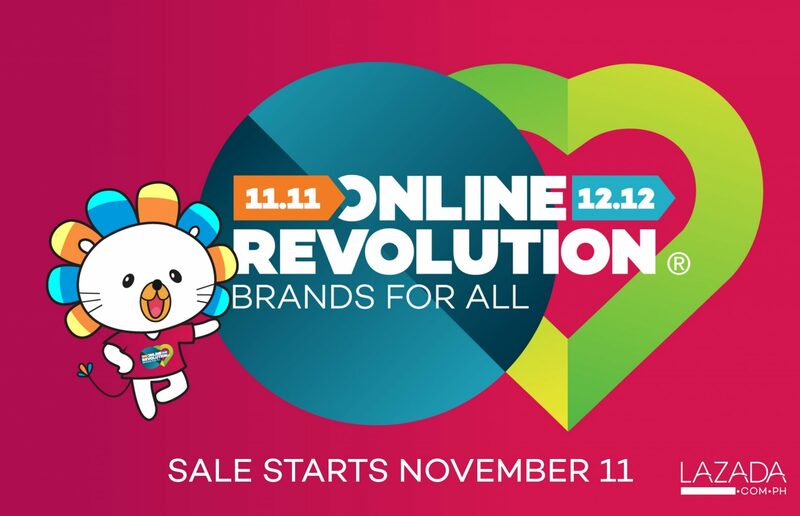 This Online Revolution started in 2012, is now the biggest online sale in Southeast Asia which is a month-long celebration of great deals across 17 product categories. The event was held at the SMX and I, together with some members of the Negros Bloggers had the privilege of knowing in advance some of the deals which will be released on Nov. 11. Some of the deals which caught the attention of many include the Starmobile Play Click smartphone which will be sold for P999 on Nov. 11, the inflatable sofa for P469 and L’Oreal Color Riche lipsticks which will be priced down to P199. Following the mega day on Nov. 11, Lazada will be holding its weekly campaigns namely Beauty Fanatic Week (Nov. 14-19), Family Week (Nov 20-24), Techies Week (Nov. 29 – Dec. 2) and Trendsetters Week (Dec. 3-6). Also, a highlight of the Online Revolution would be its Pinoy Cyber Sale running from Nov. 25 to 28. This sale will be similar to the Black Friday and Cyber Monday Sale yearly held in the US. This event is organized together with other e-players with the goal of increasing e-commerce penetration in the country. Finally, Lazada will conclude Online Revolution through a 6-day Mega Sale starting on Dec. 7 until Dec. 12.